While this casual line spoken by Donald Glover in a deleted scene (while his character is still stuck to a car) seems to be a simple throwaway joke, to those in the know it confirms one very important fact. Miles Morales does exist in the Marvel Cinematic Universe. If you aren’t sure who Miles Morales is, don’t worry, with any luck you’ll be hearing more about him in the coming years. 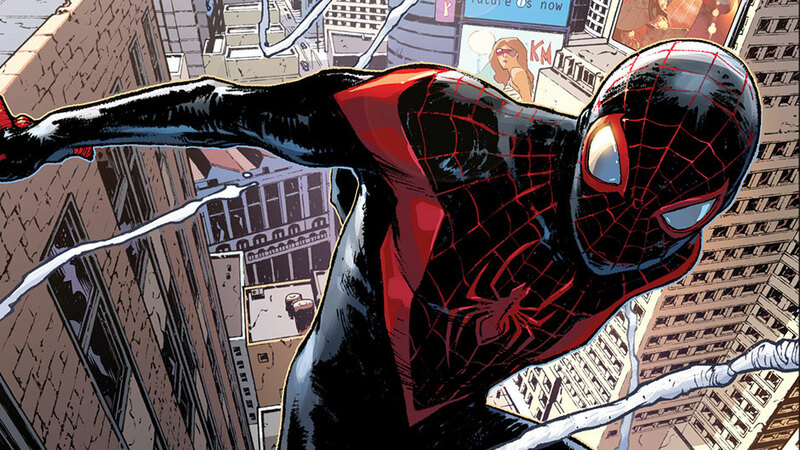 If you would like to know why this news causes so much excitement among comic readers, though, here is a brief rundown of Miles Morales and where he sits currently among Marvel and Sony cinematic projects. Miles Morales is Spider-Man. In Marvel’s Ultimate line of comics, a separate universe created to give newer readers a good starting point for characters with decades of convoluted history, Miles took up the mantle after Peter Parker died fighting Norman Osborn. Also the victim of a not-so-normal spider bite, Miles gains powers similar to Peter, yet unique. Using Peter Parker’s sacrifice as an example, he joins the crime-fighting world as the new Spider-Man. When word of a new Spider-Man circulated, the story briefly made national news, with editorials springing up from many sources lacking context that focused solely on Miles’ mixed race heritage (his parents are African-American and Hispanic). Comic readers were quick to embrace Miles, however, as writer Brian Michael Bendis had not only created a relatable protagonist but also given him a strong cast of characters to interact with. Miles has since become a fan-favorite and established member of Marvel Comics history. President of Marvel Kevin Feige had already thrown out a line to fans mentioning that Miles was somewhere in the Marvel Cinematic Universe. Fans were eagerly watching Spider-Man: Homecoming for references to the character, and they got one, sort of. Donald Glover’s character, Aaron Davis, is Miles’ uncle in the comics, and a mention of his nephew in the film seemed to confirm Miles’ existence, although not by name. With this deleted scene we now have a less wishy-washy answer to where exactly in the MCU Miles Morales is. In the scene, Glover’s character is still stuck to his car hours after being webbed to it by Peter, when he eventually makes a call to his nephew to let him know he won’t be making it today. Donald Glover originally served as the basis for Miles Morales, along with President Barack Obama. Whether Miles will make an appearance in any of Sony’s Spider-Man based spin-off features (Venom, Silver and Black) remains to be seen.